Since opening our doors in 2007, we have been dedicated to providing quality care to individuals and families throughout the community of Pryor, Oklahoma. 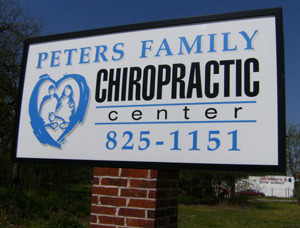 Welcome to Peters Family Chiropractic Center! Our philosophy is simple. We believe that health is among one of our most valuable possessions. Our health plays a pivotal role in our daily lives and overall well-being. Regardless of your health goals, please understand that we see ourselves as mere servants. You’re the boss! It’s your body, your health and your future. Our job is to offer you the finest chiropractic care possible in Mayes County, make appropriate recommendations and work together to achieve your goals. Take the first step towards relief by calling Peters Family Chiropractic Center today and making an appointment to discuss your health goals.